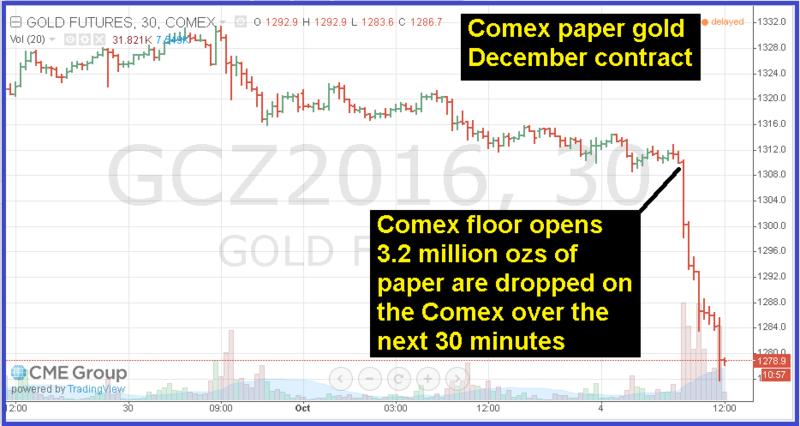 Since August, the gold price managers – aka “the gold cartel” – have been regularly dumping a lot of paper gold onto the Comex when the Comex floor opens at 8:20 a.m. EST. It’s been their standard operating procedure for the better part of the last 15 years. The fact that the world’s largest gold buyer – China – is closed all week for a holiday observance takes away the biggest physical market bid for five trading days, making it easier to smash down the price of gold using fraudulent fiat paper gold. It’s hard to ignore that the events in the financial and economic system unfolding now are not unlike the events that occurred prior to the 2008 “great financial collapse,” which was a de facto western banking system collapse. The U.S. and European economies are contracting, the housing market is beginning to crumble (see this – link – for instance), the auto market is headed south as auto loan defaults are headed north and it would appear that the middle class consumer is out of disposable income. There are plenty of other factors that make this time around much worse than 2008, but we’ll save discussion of those for another day. It’s also hard to ignore “quacking” coming from Deutsche Bank. It would appear that DB is on the ropes financially. The incessantly repetitive denials of any problems coming from Central Bankers and the DB upper brass make the “quacking” even harder to ignore. If it looks, sounds and operates like a collapsing bank…well, it’s probably a collapsing bank. I have a very good friend who has been a financial market professional for almost 40 years. He’s very knowledgeable about the monetary system and the general state of the world economy. Last week, he was in Europe on business. His trip ended in Brussels, so he flew home from there on Saturday (this past weekend). He has zillions of frequent flyer miles, so he always travels in First Class. As he flew home this past Saturday, he noticed that there were a bunch of people in his section, and they were travelling as a group. Based on conversations he could overhear, it seemed that they were heading to the US for some sort of an emergency meeting about Deutsche Bank. One woman connected with the group approached my friend (under the mistaken impression that he was part of the group). She started to thank him for being able to get free on such short notice to attend the meeting. She didn’t say where the meeting was going to be held, but she did briefly mention the name of the group with which she mistakenly thought my friend was travelling. Unfortunately, he can’t recall the name, but it sounded like it had something to do with the EU. My friend let her rattle on for about 45 seconds before he politely informed her that he was not part of the group. The lady turned beet-red and clammed up immediately! So John, are you willing to make those statements under oath? The funniest report I saw today was that Deutsche Bank gave Tesla a $300 million credit line to fund Tesla’s vehicle leasing program (LINK). No wonder DB is insolvent. It’s willing to lend against collateral that spontaneously combusts. Not to mention the fact that Tesla back-end loads the terminal value of its vehicles on its leases in order the minimize monthly lease payments. Whoever approved that deal at DB is smoking strong weed. Rumors about Justice Department multi-billion dollar fine settlements do not fix big bank insolvency. DB was insolvent before the Justice Department mortgage securities fine was conceived. Any legal fines levied by any Government will end up in line with the rest of Deutsche Bank’s creditors. Unless, of course, Grandma Merkel and her band of merry thieves agree to bailout the technically bankrupt bank. But that won’t occur until DB stock is well below $10. We saw this same trading with Enron, Bear Stearns and Lehman when those stocks approached $10. I was short and made a lot of money on Enron and Bear – and I held my shorts through rumor-driven bounces in the stock like the one propelling DB’s stock today. 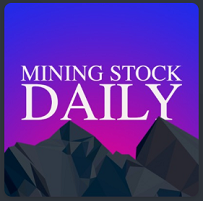 This trading activity with the stock is designed to trigger aggressive short-cover buying which enables position-dumping by the big boys who are still heavily long DB stock. The rumor that drove DB stock over $13 was tweet from a French press agency which “confirmed” that the DB was near a settlement with the Justice Department for $5.4 billion instead of the original $14 billion levied. A short-while later the French press agency back-pedaled on the assertion. A credit default swap the costs over 600 basis points to purchase is analogous to a triple-C rated U.S. corporate bond. Company’s with the “triple-hook” credit rating in the current insane financial system are semi-dead corpses with electric stimulation paddles being applied in an attempt restart the heart. These are bonds that have a greater than 70% chance of eventually defaulting. In other words, investors who are willing to pay over 600 basis points for one year of default protection on their DB junior bond position believe that the risk of DB defaulting in the next 12 months is exceptionally high. No way to know for sure when the Bundesbank, Fed and ECB lose control of Deutsche Bank’s balance sheet. But its stock price just hit an all-time low since its NYSE-listing in October 2001. Anyone who owns the Deutsche Bank “Tier 1” bonds should sell them now. They are currently yielding about 8%, which puts on the same “tier” as U.S. triple-C (CCC/Caa) rated credits. 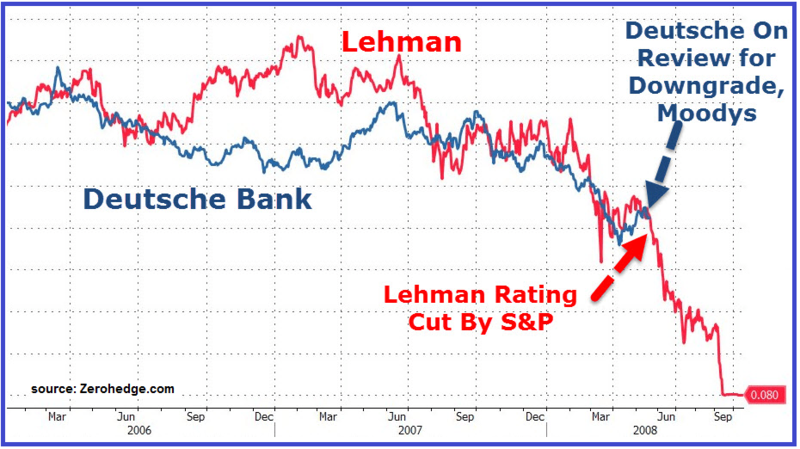 I’ve been wondering for quite some time if DB’s demise would be the 2016 “Lehman” event, but I don’t think it will be. Why? Because Germany has a fabled history in which it has demonstrated a willingness to print trillions to keep its system from collapsing. 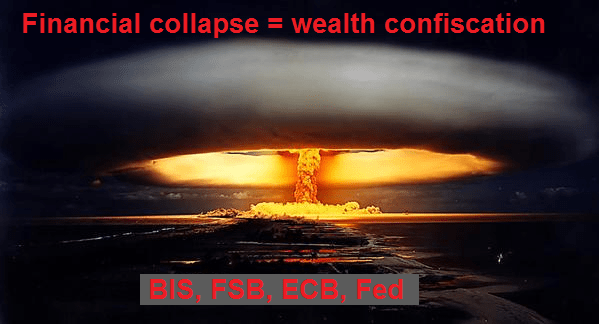 Did The Fed Signal The Inevitability Of The Next Banking System Collapse? Like a Mafia Don protecting his “family,” the Fed is implementing another layer of “protection” from collapse for the Too Big To Fail Banks. This latest deal will prevent bank counter-parties from pulling collateral from a collapsing bank. The installation of this law is a warning signal that the global banking system is barreling toward another devastating financial collapse. The cover story for this scheme is that it will prevent another “Lehman” event from taking down the entire financial system. But it wasn’t Lehman, per se, that caused the 2008 collapse. Bear Stearns lit the fuse, Lehman was selectively thrown into the explosives mix and AIG/Goldman sprayed napalm into the explosion. My source for this information of this is this article from Bloomberg: More Fed Protection For Big Banks. I had to read the article carefully a few times to fill-in between the lines, as Bloomberg kept referencing the new rule as a “proposal” and either white-washed or misrepresented the facts. The new rule will prevent the TBTF bank counter-parties from taking their collateral away from the bank when the bank is collapsing. When a fund enters into a derivatives trade with a bank the fund is required to put up collateral, generally in the form of Treasuries. The bank is then free to hypothecate that collateral, or make use of it for its own purpose. But if the bank collapses and the fund is in a “winning” position on its derivatives trade with the bank, it’s in the fund’s best interest to withdraw its collateral. The new Fed rule will prevent this. 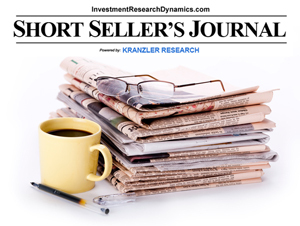 The rule extends beyond derivatives, to securities lending agreements and repo transactions. But the truth is that this Fed rule is aimed squarely at derivatives. The implementation of this new regulation, at best, extends the bail-in concept to TBTF “big boy” counter-parties, like hedge funds, insurance companies and pensions. The wellspring for this new banking rule is the Financial Standards Board, a key policy arm of the BIS. The FSB is the entity that drafted the bail-in regulation, which has been largely implemented in Europe. Bail-in regulations are now methodically being installed in the U.S. banking system. In its essence, this “collateral freeze” regulation will eventually morph into a de facto bail-in mechanism and serves the purpose of transferring wealth from the banks’ counter-parties to the banks. At the very least, this collateral freeze regulation adds yet another layer of moral hazard into the banking system, as banks are incentivized to underwrite even riskier derivatives transactions with knowledge that the risk of collapse is further minimized. Interestingly, this new law is “asymmetrical.” If the bank fails, it gets to keep all counter-party collateral locked-up. But if the bank’s counter-party fails, that counter-party has no ability to freeze the collateral it put up with the bank. The bank has possession of that collateral. This is what happened in the MF Global collapse, where JP Morgan seized all of MF Global’s collateral, at the detriment of MF Global’s customers. At the time JPM’s move was illegal but the judicial system looked the other way. While the funds doing derivatives business with these banks will suffer irreconcilable damage from the new rule, at the end of the day, it will be the investors who have their money with hedge funds, insurance companies and pension funds that will bear the greatest expense of this de facto bail-in law. That would be you, the public. Once again the public gets screwed by the financial system in a way that is being enabled by the Government. The only way to protect yourself from this is to remove as much of your wealth from financial custodians as possible. Not only is the new regulation a clear warning bell of another financial collapse coming, the Fed and the Government are making it even easier to trap your wealth. The financial system is one giant roach motel – you can check-in but eventually your money will never check-out. Is The Fed Preparing For The Next Financial Earthquake To Hit? The Fed announced a series of three “expedited procedure, closed” meetings Monday thru Wednesday this week: FRB Board Meetings. The Monday meeting was allegedly “a review and determination by the Board of Governors” of the advance and discount rates charged by the Fed. This is somewhat an absurd waste of time as both of those bank funding mechanisms have become antiquated and rarely used. The discount window collects dust until a specific bank’s credit profile has collapsed to an extent that prevents it from accessing the interbank-lending market. It’s seen as an act of desperation. It’s doubtful that the meeting was convened to discuss the discount rate. The announced subject matter of the two subsequent meetings are perhaps of more interest: “bank supervisory matter” (Tuesday) and “periodic briefing and discussion on financial markets, institutions, and infrastructure” (Wednesday). 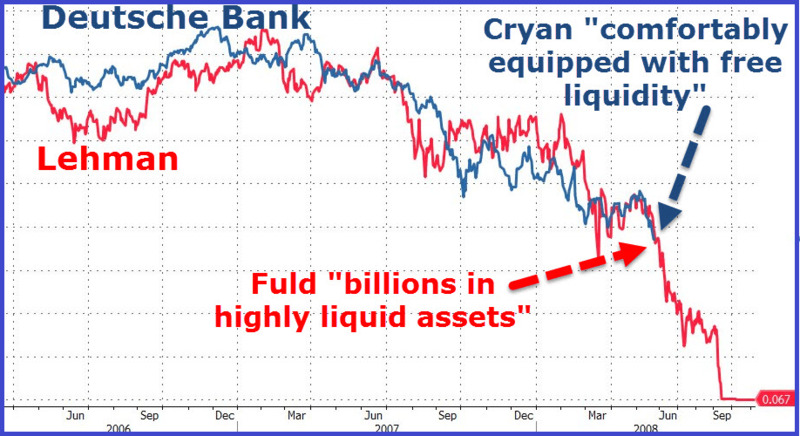 I find the latter two topics in the context of the fact that it appears that the European banking system – to which the U.S. Too Big To Fail Banks are inextricably tied – appears to be melting down. For me the “tell tale” for the western financial system is Deutsche Bank. Deutsche Bank has emerged as a “rogue” bank of sorts that had taken on a catastrophic amount of reckless credit market risks. Nothwithstanding its literal financial nuclear portfolio of derivatives, DB thrust its balance sheet into every sector of the global economic system that has been melting down over the past 12-24 months including energy, commodities, “Club Med” European banks and junk bonds. It also began to choke to death on bank debt loans to companies like Glencore and Volkswagen. As you can see, DB’s stock price has been significantly underperforming the BKX bank financial index since mid-July. Coincidentally, or perhaps not coincidentally, the S&P 500 suffered an 11% drop in mid-August. Bloomberg News released a report about three weeks that surprisingly received little to no commentary in the alternative media world. It was reported that Goldman and JP Morgan were in discussions to buy $1.1 gross “notional” amount of DB’s distressed credit default swaps (LINK). That in and of itself was not necessarily interesting, but the article reported that DB had already sold off two-thirds of its distressed CDS swap book to since October 2015 to Citicorp. The CDS securities were “single-name” direct (not cleared thru DTC) OTC derivatives, meaning they are of the riskiest, most unregulated and most toxic variety. If you notice on the graph above, around the time that DB was engaged in selling some of its toxic waste to Citi in October, the stock began take a dive and it began to diverge negatively from the rest of the big bank stocks. I would suggest, and have been suggesting, that there’s been a series of mini-melt downs that have been occurring in the western financial system since late last summer. I also have written analysis which has connected these melt-downs to Deutsche Bank and has connected the “stick saves” in the markets to the Fed. I’m suggesting here that the Fed is behind the Citi, Goldman and JP Morgan CDS transactions with Deutsche Bank as means of preventing DB’s collapse. After all, the TBTF fail banks in the U.S. are catastrophically tied to Deutsche Bank – and the entire European financial system – via derivatives. Last week Deutsche Bank’s stock began to sell-off hard again. On Monday and Tuesday DB’s stock dropped 6.6% and was down as much as 9%, significantly underperforming its peers. It’s my view that the Fed has been conducting an ongoing de facto bailout of Deutsche Bank since mid-summer, using the balance sheets of Citi, Goldman and JP Morgan as its proxies. 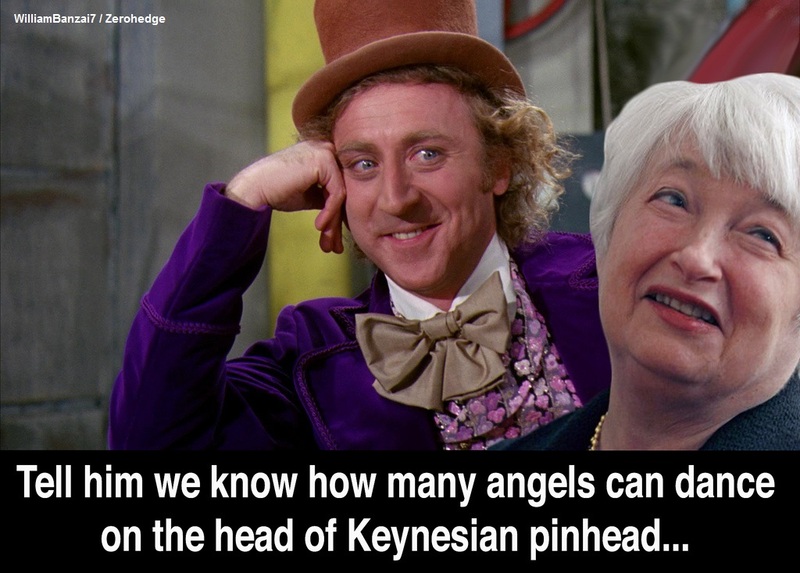 In the context of the behavior of DB’s stock recently, and in the contex of what is now blatant market intervention in the stock market by the Fed, and in the context of the news of the bank bail-in Austria plus the collapsing Italian banks, I would suggest that “expedited rule, closed door” meetings held by the Fed this were convened in order to discuss the a western financial system which is obviously beginning collapse again. I would also suggest that the Fed is inching closer to implementing more drastic monetary easing policy measures, which could include taking short rates negative and will likely include more money printing – either overt or cleverly disguised. 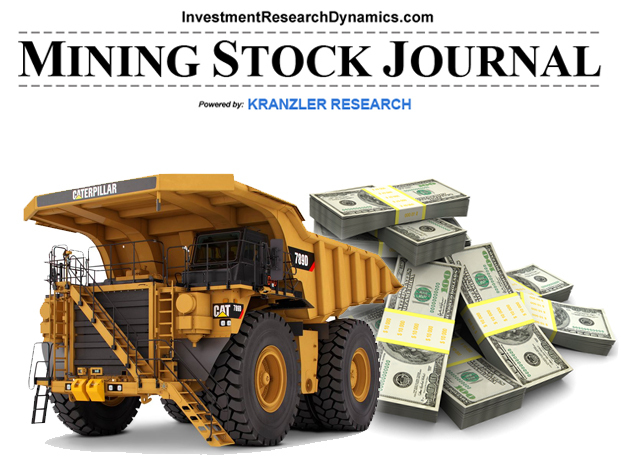 I’m finishing up my work on the mining stock that will be presented in the next issue of the Mining Stock Journal (released Thursday). This is an undiscovered Company that trades under 50 cents and it worth several times it’s current market cap just on its royalty properties. Oh by the way, it’s in the midst of drilling what appears to be a massive copper/gold porphyry in an area that has been previously ignored. 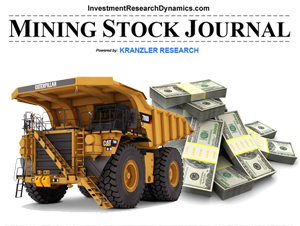 Click here to access the Mining Stock Journal. Is The U.S./West About To Collapse? Well, in truth, we had a de facto collapse in 2008 which was addressed with $4 trillion in QE and, ultimately, a few trillion in Taxpayer subsidies. The proverbial can was kicked down the road in order to enable the insider elitists to continue looting as much wealth as possible from the system. A fractional reserve banking system will always eventually collapse. The fraction of reserves is allowed to become smaller over time and the amount of unpayable debt balloons to the point of explosion. I would suggest that the massive debt implosion about to happen in the energy sector will be the trigger point for a collapse that can’t be prevented this time. With that in mind, Zerohedge reposted a Reuters article which is reporting that the Italian banking system is collapsing – LINK. What’s that got to do with the U.S. financial system, you might ask? Derivatives. Every single big bank in the world is interconnected through the insidiously toxic international web of OTC derivatives. Someone will lose big on Italian credit default swaps and not be able to pay their counterparty. The counterparty may have offloaded some of that risk and fail to stand as a counterparty on the risk it laid off. And so on down the line. The banks themselves do not know the extent of true counterparty risk exposure. Internally employees lie to risk managers. Risk managers knowingly and unknowingly lie to the board. The CEO then knowingly and unknowingly lies to the Fed and other Central Banks about that bank’s specific derivatives exposure. I witnessed this first-hand in the 1990s’ when derivatives were just beginning to blossom as a wealth-extracting device for Wall Street. My superintendent’s daughter told her father that Mr. Koch sounded just like him with the speech he gave, because her father has been telling his 2 daughters for years to get ready for the collapse and they have. My job allows me to read probably 11 hours a night when I work days and on weekend days. I started researching our financial system in 2008 because of what went down back then. It is totally amazing to me now that we have a system that is totally manipulated by TPTB constantly and people don’t have a clue about what is really going on. We really do live in the Matrix. Time will tell if this information proves to be prophetic. Someone asked me today if I thought a collapse was right around the corner. I answered that, with the enormous effort being exerted by the Fed and other western Central Banks to keep the system from collapsing, there’s no way to know with any reasonable degree of accuracy. But I said that I would be surprised if the system makes through 2016 intact.